Oh, what a Spring it is! I awoke this morning to 38 degree temperatures here at WSF and tried to think through our next two weeks in terms of production and greenhouse propagation. We need to focus and work through the ups and downs of an Ohio spring to achieve perhaps the best start to a growing season I’ve seen since 2009. In farming, productivity and prosperity are illustrated through visibly short windows of time. A cool, wet spring fosters success later in the season. We move quickly to make changes in our farm plan to accommodate these weather trends. HEAD LETTUCE. 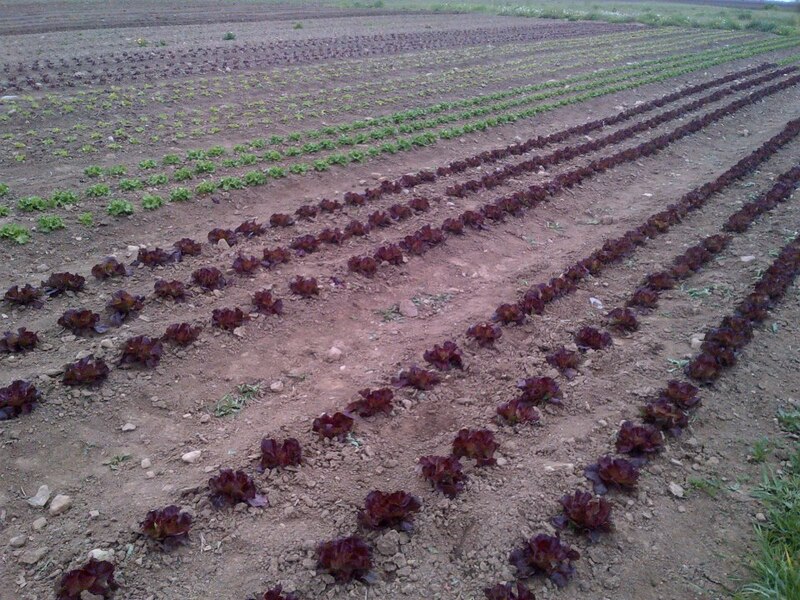 Our spring lettuce crops look excellent this year! Our red butterhead lettuce, Skyphos, has grown exceptionally well. Look for these to appear in our June CSA boxes and enjoy their sweet, blanched centers. Another excellent early lettuce, Bergams Green, will bring tremendous crunch and loft to your summer salads. SUGAR SNAP PEAS. We have two successions of Sugar Snaps planted this spring at WSF. Last year we planted many with the prospect of filling early CSA boxes. However, the 90 degree May temperatures brought our peas two weeks earlier than expected. They became very starchy and had little field holding qualities in the drought conditions. This year we expect to harvest peas over a three-week period in June. Additionally, we have sown some Snow Peas to enjoy this spring as well. They are growing slow and steadily. We’ll have to keep the crew from eating too many of these in the field while harvesting. Sugar Snaps are perhaps the most aptly name vegetable of all! RAINBOW CARROT MIX. I can taste them already… The color, the texture, the intensity. Although our summer carrots don’t have the same sweetness as the fall storage varieties, they do bring a wonderful flavor to raw dishes. They convey our soil quality and minerality the best of any WSF product. I would expect these to be ready for harvest in late June this season. We have a great crew this season at WSF, especially our new work share members. They have been very helpful to our early season production. We have shared many funny stories and enjoyed getting to know these new folks. 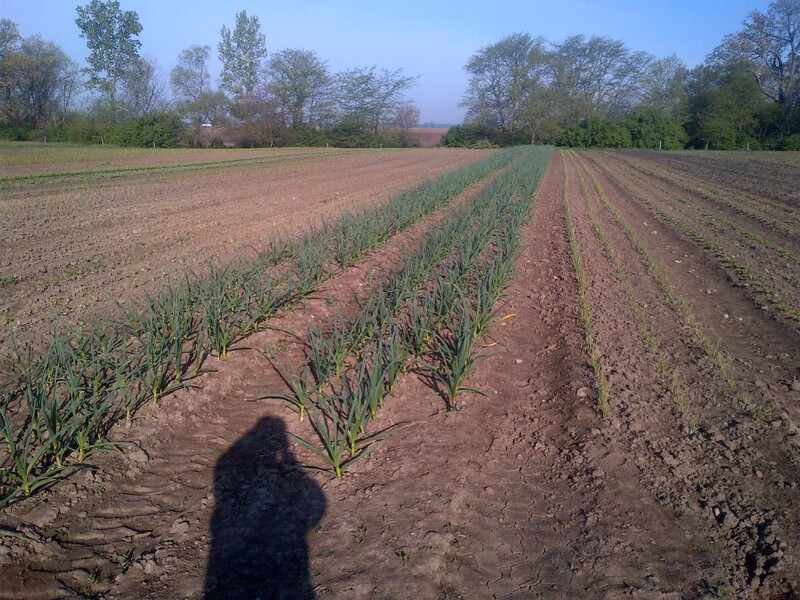 We have transplanted seedlings, propagated plants in the greenhouse, hoed our early raised beds and familiarized them with our systems on the farm. We still have a few work share available for this season, and it’s a great way to get involved at Wayward Seed Farm. For more information, please email us at farm@waywardseed.com.